Scottish art historian Livy arrives in Venice for a short break before picking up a cruise. The last person she expects to meet is Seb, the handsome half Italian, half Scottish guy she first met and fell for at university before their worlds diverged. Then after a gap of several years, they met for the second time three years ago at a friend's wedding before parting again. Now, Livy is still single and Seb is even more appealing and apparently unattached, both happy to renew their long friendship. But their unexpected meeting convinces Livy he is the only man she cannot forget. Will it be third time lucky for their relationship as they explore beautiful Venice together before time runs out? 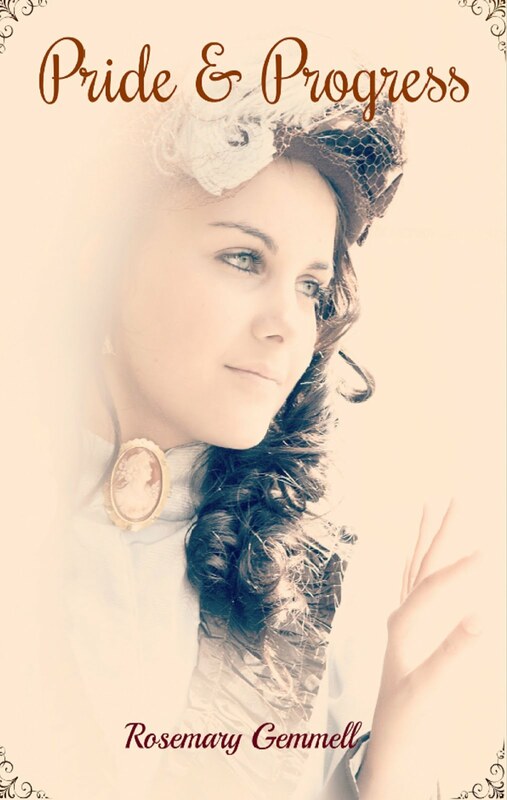 Miss Emily Morton is content with her village life as a teacher in the north east of England in the 1870s, until the new railway arrives along with the handsome Scottish station master, Arthur Muir. Emily detests the railways, while it is Arthur's passion. Each is challenged by the other but will pride allow for progress? 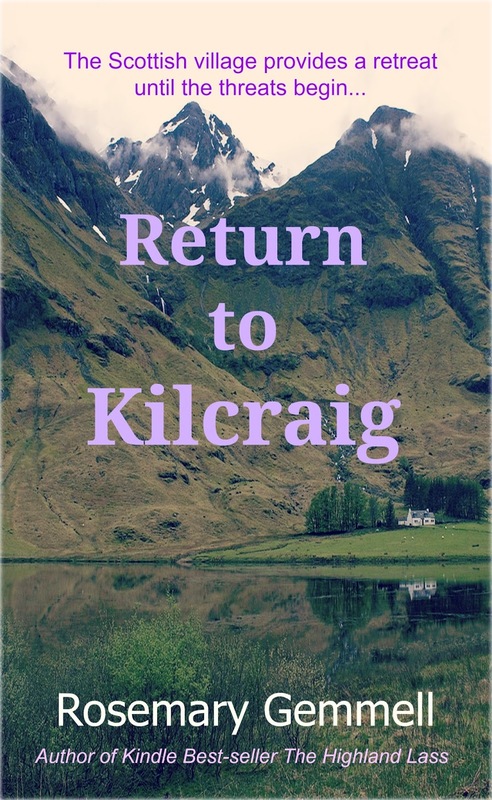 Return to Kilcraig - full length Scottish novel. The legacy of her beloved grandmother's cottage in the Scottish village of Kilcraig seems like the ideal solution after Christy Morrison’s recent trauma. Until the threats begin. Can she trust her heart and allow herself to fall in love again? When Ross McKinley reluctantly welcomes Christy back to the village, he has hardened his heart against love, until they begin to renew their childhood friendship. But someone is determined Christy should go back to London. Will they find the culprit in time? Available from Amazon UK and Amazon US and worldwide. Eilidh Campbell returns to her Scottish roots from America with one burning ambition: to discover the identity of her real father. But her mother’s past in Inverclyde is a mystery with family secrets, a book of Robert Burns’ poems with a hidden letter and a photograph link to the Holy Loch at Dunoon when the American Navy were in residence. Staying with her childhood friend, Kirsty, while searching for answers, Eilidh begins to fall in love with handsome Scot Lewis Grant, but just how divorced is he? Together they trace the story of Highland Mary and Robert Burns, with its echoes to her mother’s story. In short alternate historical chapters, Highland Mary tells her own story from 1785-6. From Dunoon, to Ayrshire and culminating in Greenock, Eilidh finds the past is closer than she realises. Dangerous Deceit - full length British Regency novel. England 1813: Lydia Hetherington is uninterested in society balls or marriage, until her brother's friend, Lord Marcus Sheldon, rides into her life to unseat her from her horse and unsettle her heart. An undercover spy for the government, Sheldon is equally unsettled by Lydia. Available on Amazon UK and US. Midwinter Masquerade - full length Regency novel set in Scotland in 1816. In Edinburgh, December 1816, young widow Lady Lenora Fitzallan accepts an invitation to the country estate of Edward Montgomery, the man she once thought to marry twenty years previously. Accompanied by her godmother, Lady Pettigrew, Lenora forms a friendship with Edward’s young niece and ward, Annabelle, who has a propensity for getting into scrapes and falling in love with the wrong man. In the days leading up to the Masquerade Ball, past secrets begin to unfold, and a dashing stranger arrives at the Ball. Once the past is revealed and the real villain unmasked, Lenora must decide where and with whom her future now lies. Mischief at Mulberry Manor - Victorian novella. When Maryanne Robertson visits her cousins’ old manor house for the Twelfth Night Masked Ball in 1859, she does not expect to find the manor haunted or to fall in love. But mischief is afoot and one of her cousins is missing as frost covers the ground outdoors. Is the mischief caused by a ghostly presence or someone more human? Available on Amazon UK, Amazon US and worldwide. Summer of the Eagles - Tween Book - Adventure and slight fantasy on a Scottish island, for 10-14 year olds. 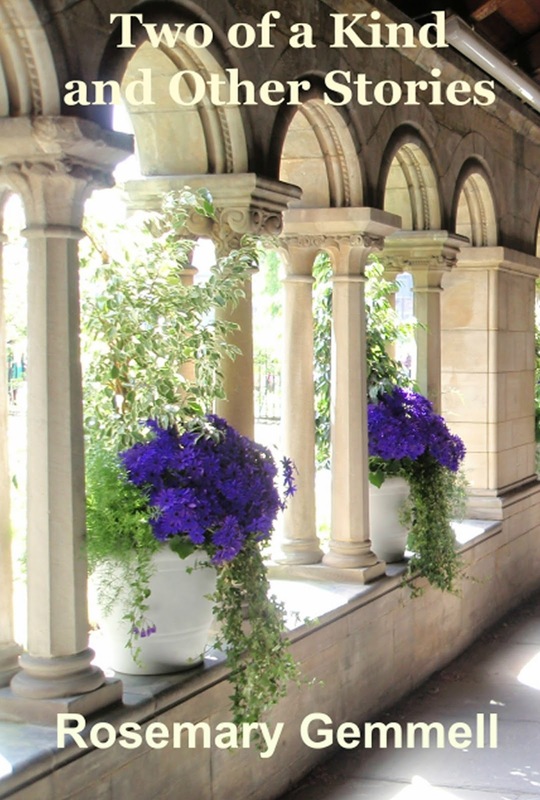 When 13 year old Stephanie (Stevie) is orphaned and slightly lamed in a terrible accident, her life completely changes and her dreams of ever running for Scotland are over. Her Gran is soon no longer able to cope with Stevie’s moods, and sends her to an aunt on a Scottish island. Although she gradually makes new friends and finds an interest in the bird sanctuary, Stevie is soon in danger from two bird poachers intent on harming the eagles. But who is the strange boy in the hills, who protects the eagles and helps Stevie to heal? And does he have anything to do with the painted rocks and legends on the island? 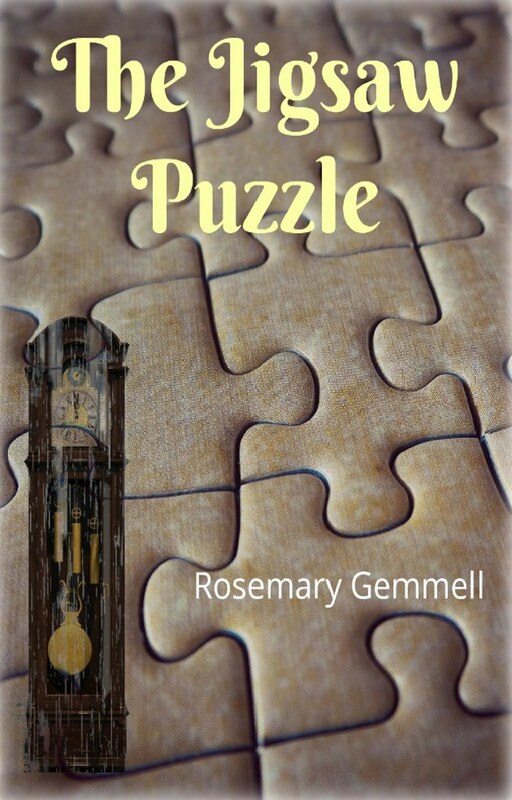 The Jigsaw Puzzle - Middle grade mystery/fantasy for 9-12 years. Twelve-year-old asthmatic Daniel stays with his bossy cousin, Amy, her mum, and two cats in the Scottish countryside during the Christmas holidays while his parents take a trip to sort out their problems. When Amy and Daniel make up an old jigsaw puzzle, the cottage and garden gradually change to resemble the Victorian cottage pictured on the box lid. In between searching for the missing Title Deeds of the cottage to save it from land developers, they complete the jigsaw and find a strange rhyming puzzle hidden within the box. What does it mean? Danniel and Amy are trapped inside the Victorian jigsaw house. Will they solve the cryptic written puzzle and find their way back to the present before it’s too late to save themselves, the destruction of the woods, and their cottage. 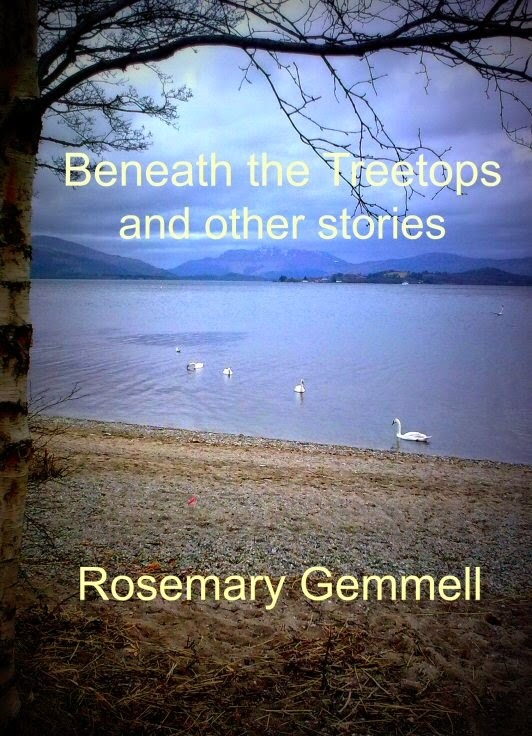 Beneath the Treetops - 14 short stories of family relationships. Some previously published in magazines, others mentioned in competitions. End of the Road is a collection of twelve quirky, darker short stories: light crime, fantasy and dark humour. Available from Amazon UK, Amazon US and worldwide. Two of a Kind is a collection of fourteen light-hearted and heart-warming stories of romance and relationships. Some of them previously published in magazines, some short-listed in competitions.